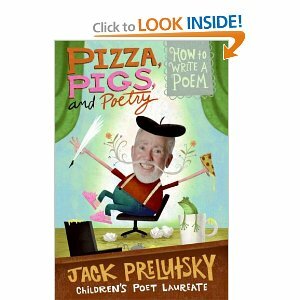 Poetry seems to play a big role in the common core standards, which I am excited about. I recently found a couple of books that teach about writing poetry. I am excited to try them out this year. There are so many possibilities for using poetry when teaching, especially in the beginning of the year when were are doing a lot of rhyming activities. The one chalenge I find with the rhyming is teaching the kids that not all poems rhyme, so these books will be great. I have also found some books that are a collection of poems that are either already in my library or on my wishlist. Here are the links to the books. What fun books of poetry have you found for children? I would love more book recommendations.